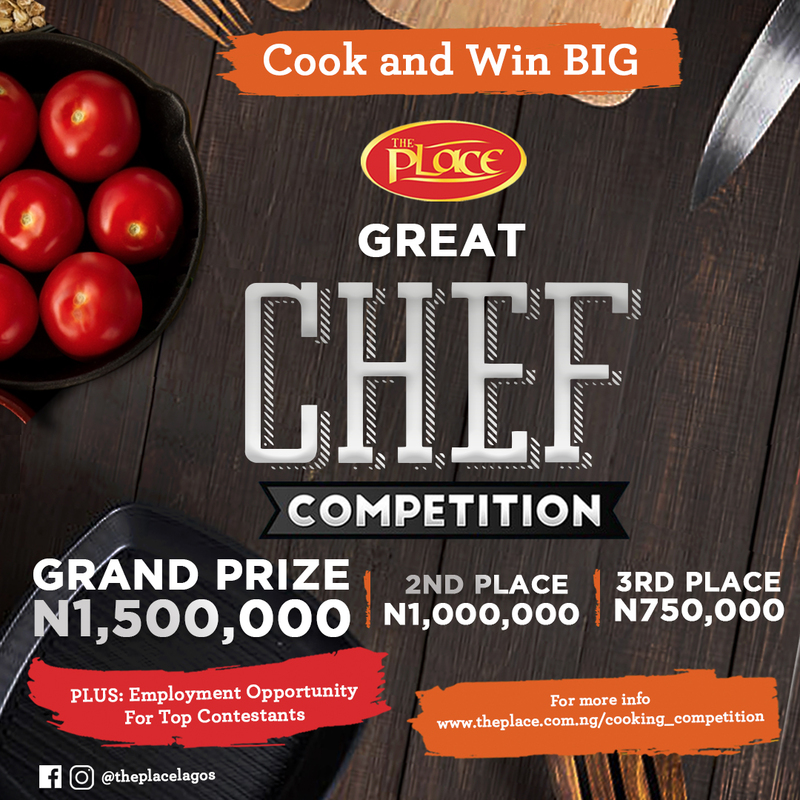 Great news for everyone who loves to whip out delicious, attractive and creative meals as The Place Restaurant launches the maiden edition of The Place Great Chef Cooking Competition. The winner of the competition will go home with a whooping sum of N1,500,000; while the first and second runner up will go home with N1,000,000 and N750,000 respectively. Also, contestants who show impressive cooking skills will be given employment opportunities to work with the restaurant’s production team in churning out best-selling recipes. Submission of entries will run from now 1st December till 31st December, 2017. Competition is open to all resident citizens of Nigeria 18years and above.